Who you elect in campaigns for state office, county supervisor or city council will directly influence everyday issues confronting boaters. SOUTHERN CALIFORNIA — Our quadrennial presidential election is about to fully take over our lives on Nov. 8. We can start counting down to Election Day in days and hours instead of weeks and months. Most publications are fixated on the national race between Hillary Clinton and Donald Trump; however there are plenty of local races taking place Nov. 8, as well. Clinton and Trump might be getting all the attention and headlines but the real policies touching your everyday life are crafted at the state and local levels. 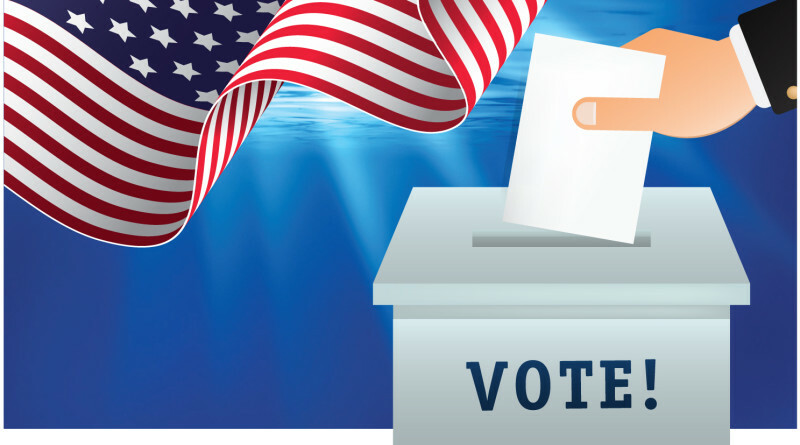 Accordingly we take a look at a handful of State Senate, Assembly and city races most important to boaters between Santa Barbara and Ventura. A marina or harbor exists in each of the races featured or mentioned below. Contact information is provided for most races, allowing you to reach out to each candidate and ask them about their respective stances on boating issues. We hope you engage with your civic leaders, become educated on the issues and head to the ballot box Nov. 8 to cast your vote. State Sen. Hannah-Beth Jackson seeks reelection in a district home to Santa Barbara Harbor, Ventura Harbor and Channel Islands Harbor. Jackson made headlines this year when she tried to ban California Coastal Commission members from engaging in private conversations with developers and other third parties. The ex parte communications bill never made it out of the legislature. If Jackson wants another crack at banning the Coastal Commission’s ex parte practice she would have to defeat her Republican opponent, Colin Patrick Walch, Nov. 8. Protecting California’s coast is one of Jackson’s campaign pledges. Meanwhile Walch’s campaign is focusing on broad issues such as the economy, education and public safety. None of the proposals listed on his website is geared toward boaters or recreational maritime interests. Walch’s only pro-environment proposal is to provide tax incentives to local businesses that promote alternative energy use. Questions about Jackson’s campaign can be directed to Jeff Urrea at JeffUrrea@Hannah-BethJackson.com or by visiting her website, Hannah-BethJackson.com. Walch’s campaign website is ColinForSenate.com. Call 805-478-9421 or email info@ColinForSenate.com with your questions or comments. Ricardo Lara represents boaters at Long Beach’s Rainbow and Shoreline marinas in the State Senate; he is running for reelection against Libertarian candidate Honor “Mimi” Robson. The state senator from Long Beach said niche ports in San Diego, Ventura County and Northern California should invest in recreational boating, fishing and visitor-serving amenities. A brief note on Robson’s website states the Libertarian candidate would reduce the number of “unnecessary regulatory agencies” while focusing on improving the state’s roads and water infrastructure. Voters can contact Lara at his Long Beach district office (562-256-7921) or by emailing his chief of staff (Erika.Contreras@sen.ca.gov). Those who want to speak with Robson before the election can reach her at 562-294-1962 or info@honorrobson.com. Two Democrats are vying to fill this seat about to be vacated by Isadore Hall. The district covers each of the recreational boating marinas in San Pedro and Wilmington. Steve Bradford previously represented Marina del Rey in the Assembly. His opponent, Warren Furutani, has roots in San Pedro. Furutani’s grandfather worked on tuna boats on Terminal Island. Whoever is elected could be in office as the L.A. Waterfront project takes shape – although it’s uncertain how much influence a state senator would have over the harbor revitalization project. Reach out to either candidate to find out their respective positions on the L.A. Waterfront and other port issues affecting recreational boaters. Furutani can be reached at warren@warrenfurutani.com or 424-266-0149. Voters can contact Bradford at info@stevebradfordforsenate.com or 310-868-1906. The race for the 37th Senate District seat pits an accountant promoting fiscal frugality against a scientist supporting environmental issues. Republican John Moorlach, the current incumbent for the 37th District seat, represents boaters at harbors in Huntington Beach and Newport Beach in the State Senate. His opponent is Democrat Ari Grayson. You can contact Moorlach’s office via email (Amanda.Smith@sen.ca.gov) or phone (714-662-6050). His campaign website is moorlachforsenate.com. Grayson is a research scientist from Laguna Beach. He hopes to address climate change, energy-efficient technologies, water consumption and habitat protection during his tenure as a state senator. Information about his campaign is online at arigrayson.com. Democrat Toni Atkins hopes to move up from Assembly speaker to one of San Diego’s state senators. The former San Diego City Council member faces off against Republican John Renison. Atkins became a key figure in the boating world after her proposal to address copper and boat bottom paints — Assembly Bill 425 — became law in 2013. Two years later her Pacific-to-Plate proposal, which made it easier for seafood markets to sell fresh fish in public areas, also became law. Her campaign website was still under construction at press time ,but Atkins can be reached on Twitter (@toniatkins) or by phone at 619-645-3090. Renison broadly pledges to focus on fostering entrepreneurship and innovation, public safety, Second Amendment rights and small government. More information about Renison is on his website, johnrenison.com. He can be reached at john@johnrenison.com or 619-996-3181. The 62nd Assembly District includes Marina del Rey and is currently represented by Democrat Autumn Burke. She is seeking reelection in a district contested by a Republican (Marco Leal) and a Libertarian (Baron Bruno), the only three-way race in our coverage. Major issues in Marina del Rey include boat bottom paint regulation and harbor-wide redevelopment. Burke recently made headlines in The Log when her bill, AB 2616, was signed into law and opened the door for the California Coastal Commission’s roster to include members from low-income and racially diverse communities. Leal is a write-in candidate; very little information is available about his campaign. However he can be reached via email at steady3@sbcglobal.net. Questions about Bruno’s campaign can be sent via email to info@BrunoForAssembly.com or by calling his office at 213-999-8264. His website is BrunoForAssembly.com. Most of San Diego’s boaters fall within the 78th Assembly District, which will have a new person elected to represent the area as Toni Atkins is campaigning for a State Senate seat. Democrat Todd Gloria faces off against Republican Kevin D. Melton to succeed Atkins. Gloria has taken a similar path to state politics as Atkins. Both served on the San Diego City Council and as interim mayor before seeking higher office. One of Gloria’s campaign pledges is to support tourism-oriented policies, which could affect the Port of San Diego’s boating interests. You can reach Gloria’s campaign by web (ToddGloriaForAssembly.com) or email (ToddforAssembly@gmail.com). This is Melton’s second go-around in the race for the 78th Assembly District. He sought the Republican nomination in 2014 but lost to Barbara Decker in the primary. Melton’s campaign priorities include economic development and senior community programs. Information about Melton’s Assembly run is online at KevinMelton.net or by emailing melton4castateassembly@gmail.com. Supervisor Don Knabe’s tenure as one of Los Angeles County’s five most powerful elected officials will end this year, meaning boaters between Marina del Rey and Long Beach will have a new representative on the Board of Supervisors. Janice Hahn and Steve Napolitano are facing off for one of the most coveted political seats in the state. Hahn previously served in the House of Representatives, representing San Pedro, Wilmington and the Port of Los Angeles in Washington, D.C. Boaters tried, without success, to get in touch with her earlier this year after an oil spill affected some slips in Wilmington. Her supervisorial campaign website (janicehahn.com) lists Christian Kropff as her lead contact. He can be reached at 408-316-6158 or cj.kropff@gmail.com. Meanwhile Napolitano, according to news reports, is in favor of a market-rate fee structure for boating slips in Marina del Rey. Napolitano’s primary point of contact is Maryann Marino, who can be reached at 310-561-5570; his website is stevenapolitano.com. Marshall Duffield, who created those Duffy electric boats darting up and down Newport Harbor, won a seat on the Newport Beach City Council in 2014. His election gave local boaters a voice on the dais. Boaters could have a second voice on the council if Brad Avery, who currently sits on the Newport Beach Harbor Commission, defeats Shelley M. Henderson Nov. 8. Avery generally advocates for keeping the harbor open to public access. Recently he pushed for the Harbor Commission to establish a second public anchorage in the Turning Basin for non-local boaters to visit Newport Beach and enjoy the city’s amenities. Henderson, who was recently pursuing a law degree from Trinity Law School, spent more than a decade working on Capitol Hill in Washington, D.C., before moving to Newport Beach in 2012. She was reported absent from recent City Council candidate forums. Newport Beach voters can reach Avery via email (brad@nbdistrict2.com) or phone (949-945-8044). Henderson can also be reached by email (shelley4newportbeachcc@gmail.com) or phone (949-438-3393). This school district touches Dana Point Harbor. If Measure M passes it could affect boat owners who live within the district’s borders, which include Dana Point, Rancho Santa Margarita, San Clemente and San Juan Capistrano. Measure M proposes to increase taxes by $43 per $100,000 of assessed property value, a rate of 0.043 percent. A $250,000 boat, for example, would be assessed $107.50 in annual taxes (in addition to taxes already paid). The measure promises to infuse $889 million in funding to repair or upgrade local schools. California’s Constitution, not Capistrano Unified School District, determines the tax rate. South Orange County Economic Coalition opposes the measure. Wayne Brown can be reached on behalf of the coalition at 949-939-1620 or wayne.brown@economiccoalition.com. Capistrano Unified School District’s website (bit.ly/28KiLSB) also has information about Measure M. School district board members Amy Hanacek (ahanacek@capousd.org) and John Alpay (jmalpay@capousd.org) who support Measure M.
Thank you for this overview. I wish political positions, pending legislation and implementation of adopted legislation occupied a greater part of the Log. Thank you. CA Sen. Hannah-Beth Jackson is really no friend of boaters. She is not merely an environmentalist, but an environmental extremist. She might eliminate powerboats if given the chance. I recently wrote an article concerning the egregious and, I believe un-Constitutional tax forced on anyone renting County Property. Specifically in our case, the rent we pay on our slips/moorings—and, apparently even dry storage. This tax is totally “arbitrary”. By that, I mean it has no real foundation or real means of even determining how much or who will pay this tax. Case in point: The Tax Collector’s Office contacts the Marina Office to determine who was in the slip on Jan. 1, of each year. The tax bill is then sent to that slip renter for the entire year—even though he may have moved out a couple months later. A new renter of that slip could then stay there and move out on Dec. 31 of that same year, and pay nothing. This is so outrageous I can’t believe they have gotten away with it . There were actually several years they didn’t impose these taxes— due to confusion caused by the County taking over management, etc. This the most absurd form of tax I ever heard of; and, is the very reason for the “Tea Party” event by the early Colonists. It’s a shame people today haven’t the fortitude to fight against oppressive taxes and government actions like our Forefathers. This is why we have the government we have and the associated serious problems—reticence to get off our butts and do something to stop the oppression by those who are supposed to work in our behalf. That’s why you should always be out at sea on Jan 1.